Product Code: FS・I electric operating table adopts famous imported brand electric machine for controlling. 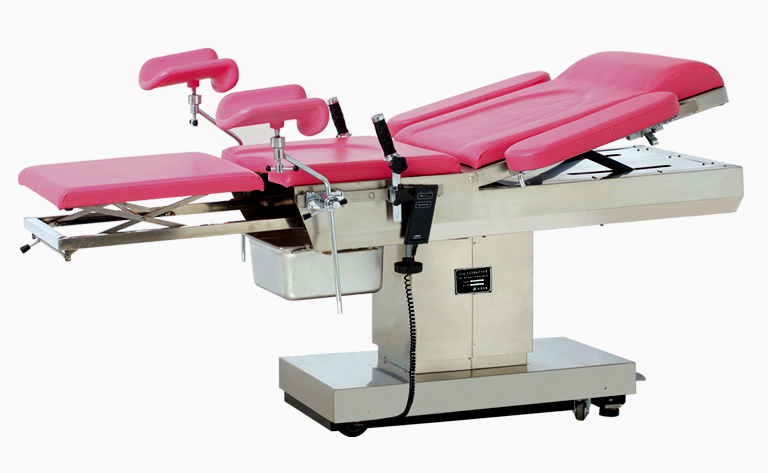 In order to realize the alterability of the operating table's different angle , the machine adjusts the turning angle of the all-in-one table.Gynaecology operating table can be controlled by two independent methods, hand or foot. Hand-holding remote controller can display operating status and have self-locking function without trigger by error. Therefore, the machine provides relaxed and professional treatment position for gynecological diagnosing , ultrasonic flaw detection, Induced abortion and some general gynecological surgery. 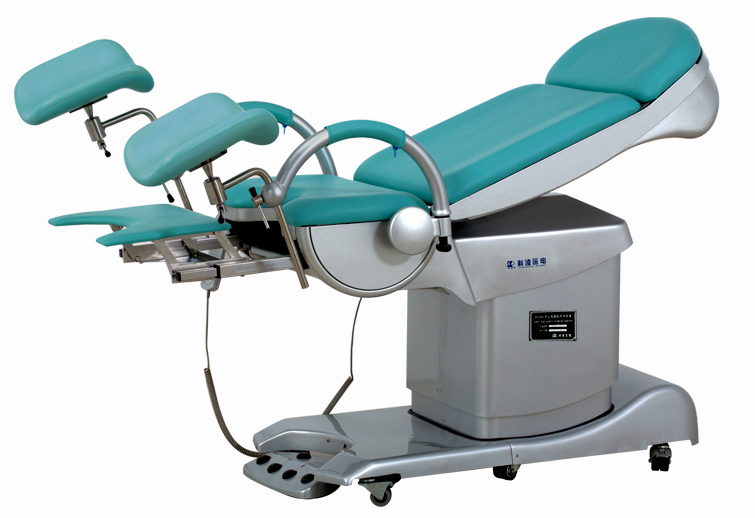 Product Code: FS・II electric operating table adopts famous imported brand electric machine for controlling. 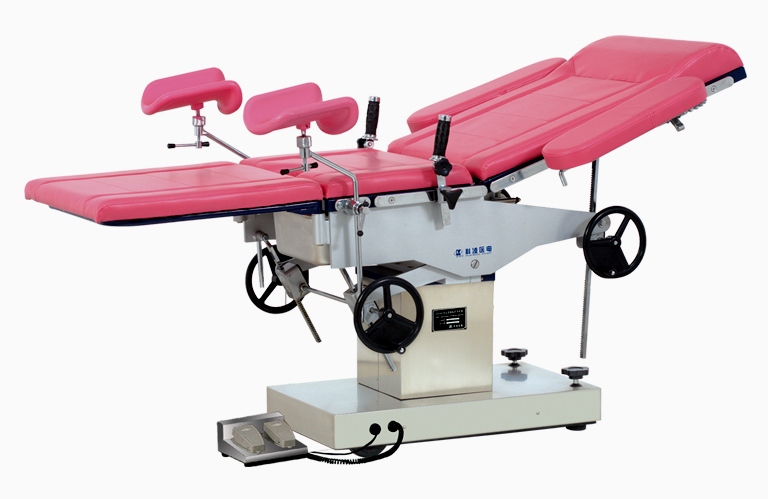 In order to realize the alterability of the operating table's different angle , the machine adjusts the turning angle of the all-in-one table.Gynaecology operating table can be controlled by two independent methods, hand or foot. Hand-holding remote controller can display operating status and have self-locking function without trigger by error. FS・II type has memory and restoring function. Therefore, the machine provides relaxed and professional treatment position for gynecological diagnosing , ultrasonic flaw detection, Induced abortion and some general gynecological surgery. 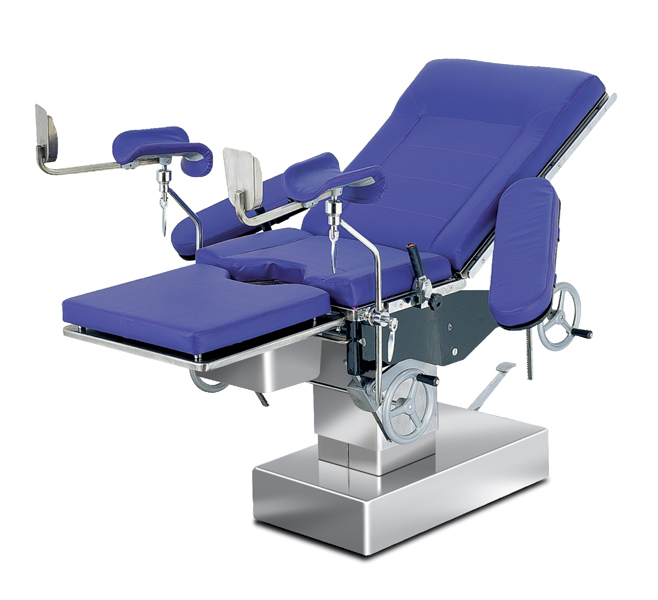 Product Code: FS・III gynaecology table is clinically used for gynaecologic examination, parturition of lying-in woman and other common operations. 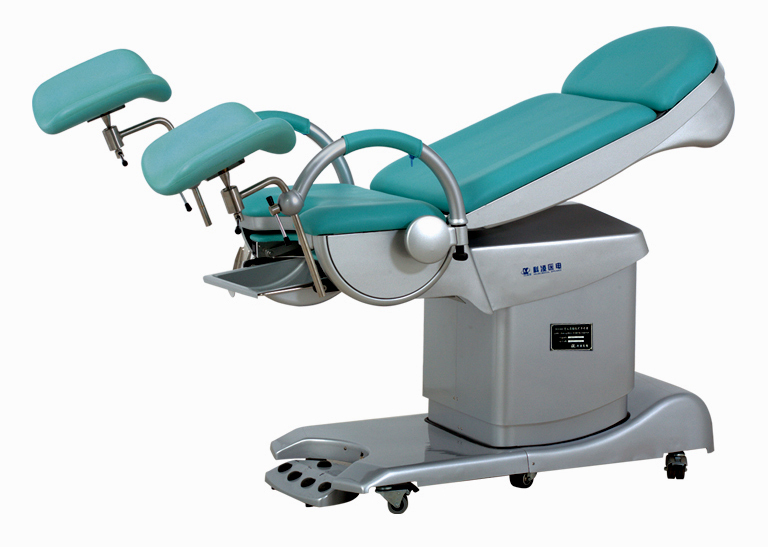 Gynaecology table consists of chassis, column, table-board, pneumatic spring and etc. Table-board is divided into back plate, seat plate and auxiliary leg plate. Pneumatic spring is manually controlled to adjust front and backward tilting of table-board and upward folding of back plate. Hydraulic oil pump is adopted to elevate table-board via foot-operated control. Mechanic transmission is adopted to jack up or fall chassis to the ground via foot-operated control. Soft mattress for gynaecology table-board is made of high-density leatheroid and that for auxiliary leg plate is made of polyurethane. Cover casing of gynaecology chassis and both inner and outer cover casing of oil pump column are made of ABS plastics. Product Code: KW-2E is developed on the basis of advanced technologies from abroad. It can be used for child delivery, surgical operations and medical examinations, including Caesarean birth. The bed has micro touch controller for the back and forth and elevation ensuring convenient and flexible operation. It adopts the world famous brand-LINAK imported motor as the power system, producing low level of noise and ensuring reliable service. The back board adopts hand-operated air spring structure with the angle adjustable. The bed has hidden-type mobile auxiliary platform, making it convenient for medical workers in operation. It adopts footstep-operated control for fixing and mobility of the base. All the shell, boards and vessels are made of stainless steel, giving beautiful appearances and easy for cleaning. Product Code: KW-2D can be used for child delivery, surgical operation, medical operations,and examinations including Caesarean birth. The table adopts the world famous brand-LINAK gear pump for elevation, and has footstep-operated switch for backward and forward of the platform and elevation of back board. It adopts PC wheel of high quality. 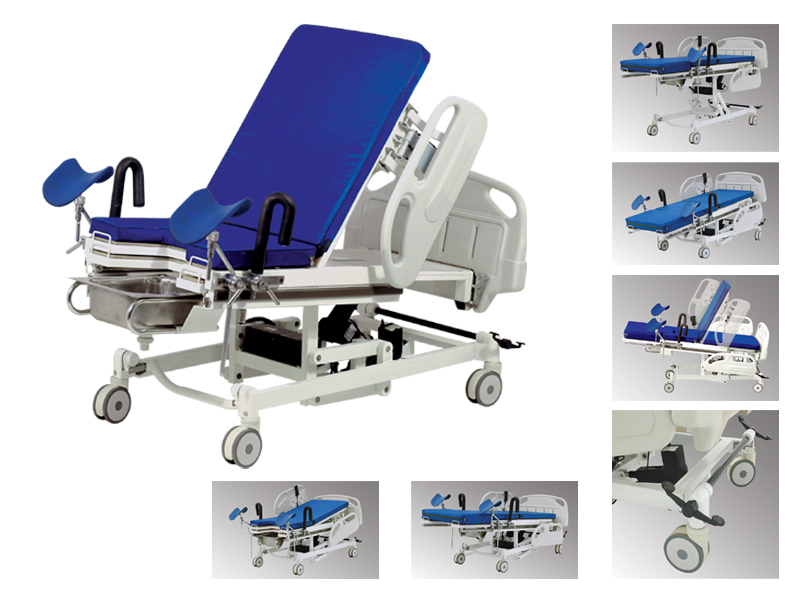 Auxiliary platform can be adjusted in size and can be discharged, providing convenience for medical workers. The table adopts footstep-operated controller for the fixing and mobility of the base. All the shell, and vessels are made of stainless steel, giving beautiful appearances, easy for cleaning and sterilization.